Do you have Multiple Missing Teeth? Dear Mr Black and all the team at the practice I would like to thank you all for making me feel at ease and reassured, the service I received was first class and I would recommend anyone to your practice for any treatment. My teeth are the best they have ever looked. Those who have worn dentures for years are likely to have suffered bone loss. This does not mean you are unable to receive dental implants; you can still have successful implant surgery through a clinically proven procedure called bone grafting. Bone loss is bad news, not only for your teeth, but also for the facial structure. If a tooth is lost and not quickly replaced with a dental implant, over time the bone behind it will recede and give the face a sunken appearance. 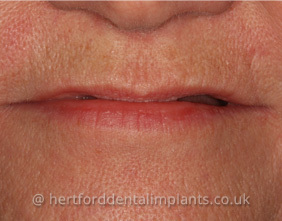 Bone grafts revitalise and rejuvenate the face while providing the best possible foundation for implant treatment. Bone for a graft is usually taken from your chin or the side of your jaw behind the molars in a routine procedure which can be carried out at the dental practice. Your own tissue is most likely to be successful, but other human or animal sources can be used. In some cases, synthetic material may be the best option. Our dentist will insert this bone expertly into your jaw. The reallocated bone will mesh seamlessly into the surrounding tissue over a period of time. Once healed, the implant site will be as strong as natural bone and you'll be ready for implants. We know that just like any surgical procedure, a bone graft can be daunting. We are more than happy to talk you through your procedure step by step and work out the best arrangement for you. We'll always make sure you're fully aware of every option and comfortable with your informed decisions before moving forward. A more youthful appearance will give you a confidence boost. 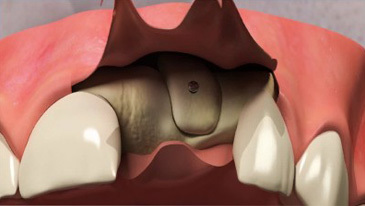 A second chance at the comfort and security of dental implants. A long-term investment in your health and wellbeing. 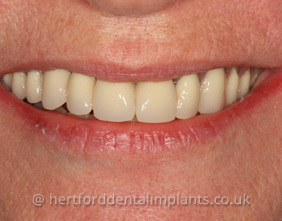 I was very undecided about having a dental implant as I was absolutely petrified at the thought of all the procedures. However, Gordon explained all the options with pros and cons which enabled me to make an informed choice. He made me feel at ease during the treatments, carefully explaining every step along the way. The implant has blended perfectly with my other teeth and I sometimes forget which tooth is the implant. I would not hesitate to have another one if I lost another tooth. Closed weekends, bank holidays and between Christmas and New Year - emergency cover arranged. Copyright © Hertford Dental Care . All rights reserved.